My dressing room is WAY PAST due for a decluttering session! I’m not sure how it has gotten to its current state of devastation but it’s driving me nuts!!! The worse part is having to find that piece of accessory to complete my outfit and knowing that I’ve kept it ‘somewhere safe’ but still can’t find it! Do you know that feeling? So conquering the closet is on my wait list and I need some motivation. What better way to motivate me than gawking at images upon images (frm my pinterest board, Dressing Room) of the awesomeness of other people’s dressing rooms? Perhaps I’ll gain some new ideas to rearrange mine and give it the respect that it deserves. A white closet w/ great shelving system! image here. A great drawer to organize accessories. I NEED this!! image here. The problem is, I might actually have more shoes than this! image here. A simple clothing rack for those who are space deprived. image here. 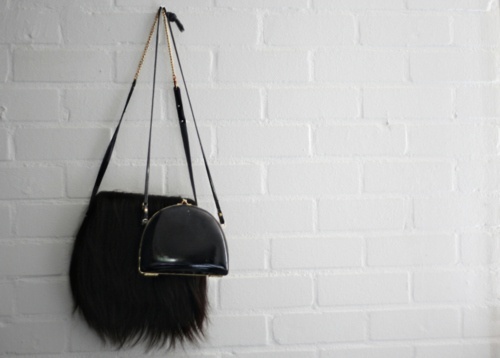 Spruce up your white brick walls with handbags. image here. 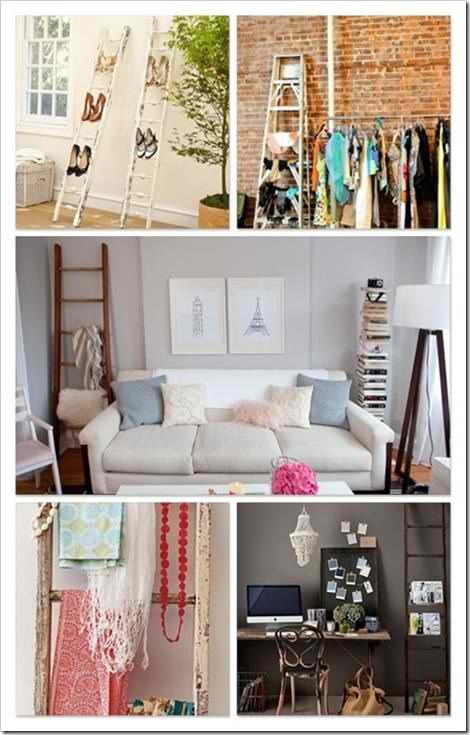 Old ladders for shoes and accessories! A cheap and inventive idea. Drawer in the middle of the closet. My closet will not fit this! image here. Loving the detail shot! image here. I’ve ALWAYS wanted a mannequin for my closet. image here. I hope to make you fall in love w/ yours again, too! and a was just looking at the sad pile of clothes on the floor! i wish that i had more space! any ideas for really scrunched up spaces? I love the shoe cubbies! 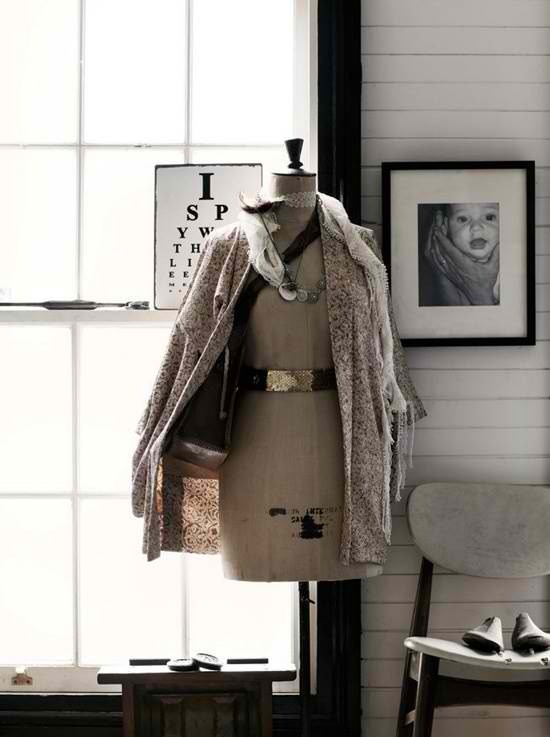 These pictures inspire me to get back to work on my closet! I love the aesthetic of your blog, thanks for stopping by mine so I could find you! I love this!! I just redesigned part of my room ( see my last post) and I wanted to do my closet next! This is so perfect! Thanks for the great post! Last year I moved from a mansion in South Africa with a magnificent dressing room to my holiday apartment in Albufeira, Algarve, so now I have a small bedroom and a closet that I share with my husband. I have to be ruthless and minamilistic! Its good! I have kept only the items that I wear regularly. Keeping shoes inside their boxes and stacking them helps to save so much space as well.I’m liking this so much that I want to streamline my closet even further. 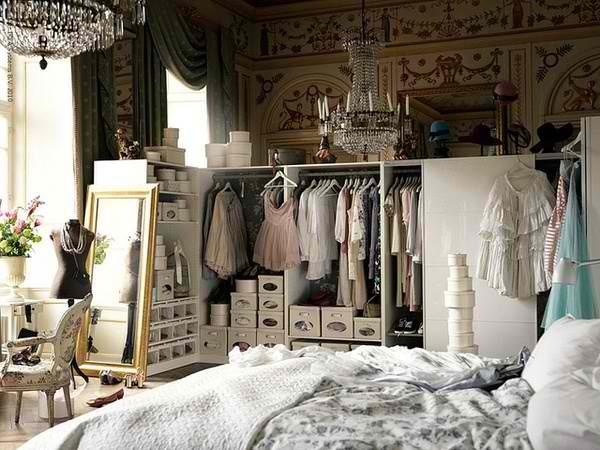 These are such beautiful closets here – I need one in my life! I love the shoe shelves! I actually use a straight and plain book shelf on it’s side on the bottom of my closet. I put more cubbies and shelves in it and it works perfectly! love thr jewelry chest!! 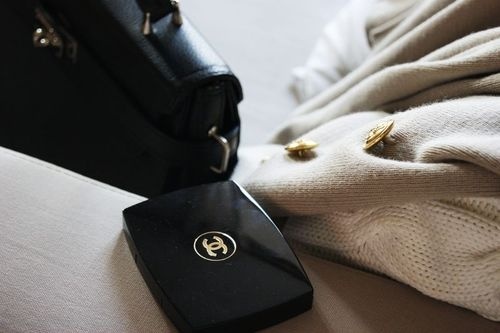 that chanel pic is amazibg!! So inspiring! 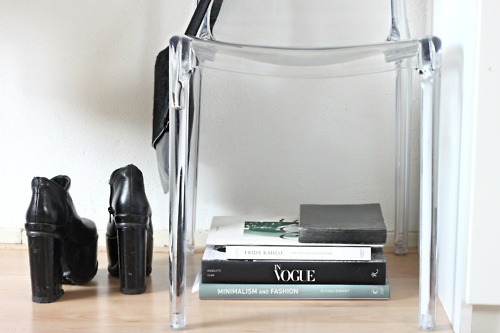 Love that shelf for shoes! I need a better organization system too… or just a bigger closet. These photos are so inspiring! 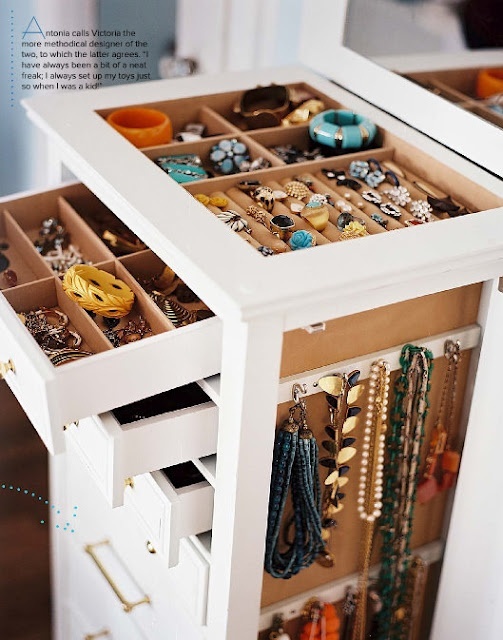 I NEED that jewelry chest of drawers!